Purpose of Form : Use this form to replace a "Green Card." Number of Pages : Instructions: 4; Form: 2. Edition Date : 07/30/07. Previous editions accepted. Then your payment is the base application fee is $290 plus the biometrics fee of $80. Total filing fee = $370. If you have reached your 14th birthday since the date your card was issued, your payment is the biometrics fee of $80 is required. The base application fee is not required if you file the Form I-90 within 30 days after your 14th birthday. Total filing fee = $80. To replace a card because of a change in any other biographic data, you must bring copies of documentation to prove that the new data is correct. If you send us a check, it will be converted into an electronic funds transfer (EFT). This means we will copy your check and use the account information on it to electronically debit your account for the amount of the check. The debit from your account will usually occur within 24 hours, and will be shown on your regular account statement. You will not receive your original check back. We will destroy your original check, but we will keep a copy of it. If the EFT cannot be processed for technical reasons, you authorize us to process the copy in place of your original check. If the EFT cannot be completed because of insufficient funds, we may try to make the transfer up to two times. Then there is no fee required. Please review the Where to File Instructions, below, if you are filing for these reasons. Total filing fee = $0. Mail a new I-90 application with supporting documentation to the USCIS Service Center or National Benefits Center (NBC) that mailed you the card which was not received. 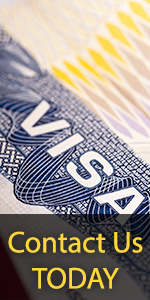 Only certain application or form types, when approved, may lead to the creation of a permanent resident card. Those forms are the Form I-485, I-751, I-829, I-90 and the Immigrant Visa packet, Form OS-155A. Please look at the Form I-797, Notice of Action for the receipt number on the form that you filed which led to the creation of the card which was not received. For example, if you filed a Form I-485, Application to Register Permanent Residence or Adjust Status, and it was approved but you did not receive your permanent resident card, look for the receipt number for that I-485 on the Form I-797 receipt notice USCIS sent you for that form. The first three letters of the receipt number will indicate what office created processed the application or immigrant visa. WAC = California Service Center. LIN = Nebraska Service Center. EAC = Vermont Service Center. SRC = Texas Service Center. MSC = National Benefits Center. Once you determine the correct Service Center to which you should mail your Form I-90, mail it to the address below that relates to that Service Center. When you submit your Form I-797 Notice of Action, you need to include the receipt number for the application of the Permanent Resident card that was not received. If your card was issued with incorrect data due to USCIS administrative error , you must mail a new I-90 application using Application Reason "d" My card was issued with incorrect information because of a USCIS administrative error, and any supporting documentation, to the USCIS Service Center/National Benefits Center(NBC) that processed the application/form from which the incorrect card was created. Check the envelope that your I-551 permanent resident card came in to find the mailing address of the Service Center/NBC that mailed you the card. The Service Center/NBC address can also be found on the I-797 "Notice of Action" issued for the application from which the incorrect card was created. In addition to the new I-90 application, applicants are required to send the original I-551 card containing incorrect information, plus the supporting documentation for the requested correction. A replacement application based on a USCIS administrative error must also include an explanation. There is no fee required. Total filing fee - $0. Do not use this Form I-90 if you are a conditional resident and your status is expiring. • based on a financial investment in a U.S. business, submit Form I-829, Petition by Entrepreneur to Remove Conditions. In the Related Links section in the upper left of this page, select the How Do I Report a Change of Address to the USCIS?